From time to time the AustraliaInstitute insists on injecting facts and figures into political discussions. It has now produced a report on just how many billions a year the States spend supporting their mining industries. The figures are significant. For example, for 2013-14 state budget minerals and fossil fuel expenditures and concessions totalled about about $3.2 billion. For Qld this cost represented about 60% of the royalties it received. The figures look much worse when it is realized that no GST is paid on mineral exports (or other exports.) This loss of GST income to the states would have been worth about $19 billion for 2012! This post was written back when the issues of Abbot Point expansion and the dumping of waste in the Great Barrier Reef Marine Park area were current. Now the Queensland Land Court has recommended the State Government reject the multi-billion dollar GVK-Hancock Alpha Coal project in the Galilee Basin. The decision is a non-binding recommendation to the State Government. If they go ahead, conditions have been suggested. Impact on groundwater was the main concern of local landowners. It looks to me as though this decision will not in the end impede the construction of the mine. Nevertheless there are concerns also about the economic viability of both the coal mines and the port expansion, as I discuss in the post. Recently the Abbot Point port expansion proposal has caused a great deal of controversy because of the proposed dumping of 3 million tonnes of sludge within the Great Barrier Reef Marine Park area. The contention is that the Great Barrier Reef Marine Park Authority (GBRMPA) initially found against the dumping. In January this year GBRMPA approved the dumping. Professor Russell Reichelt, chair and chief executive of the Great Barrier Reef Marine Park Authority, makes clear at The Conversation that the material to be dumped is not toxic and while the Authority would prefer placing dredge material on land, “providing it does not mean transferring environmental impact to sensitive wetlands connected to the reef ecosystem”, they are comfortable with the proposed plans. The material to be dumped is about 60% sand and 40% silt and clay, similar to what you would see if you dug up the site where the material is to be relocated. The target area is a defined 4 square kilometre site free of hard corals, seagrass beds and other sensitive habitats, about 40 kilometres from the nearest offshore reef. we will have a full-time staff member from GBRMPA located at the port to oversee and enforce compliance during dredge disposal operations. This supervisor has the power to stop, suspend or modify works to ensure conditions are met. In addition, an independent technical advice panel and an independent management response group will be formed. Membership of both these bodies will need the approval of GBRMPA. Importantly, the management response group will include expert scientists as well as representatives from the tourism and fishing industries, and conservation groups. Together, GBRMPA and those other independent scrutineers will be overseeing the disposal, and will have the final say — not North Queensland Bulk Ports, which operates Abbot Point, or the coal companies that use the port. Our recent assessments show the dominant risks to the health of the reef are the effects of climate change, excess sediment and nutrient run-off (such as from widespread floods), outbreaks of coral-eating starfish, extreme weather, and some types of fishing. Coastal development such as ports are assessed as significant but local in their effects. Watching Greens Senator Larissa Waters debate the Abbot Point expansion with the relevant Qld government minister was like being in an alternate reality. There was no mention of the climate effects of the coal to be exported, no mention of the warming and ocean acidification impact on the reef. Water is in fact a considerable issue, as the area has only 400 to 500mm rainfall pa, seasonal and highly variable. 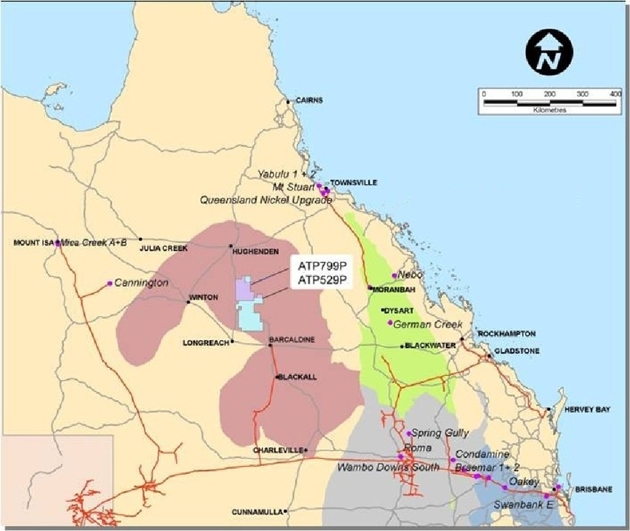 Artesian aquifers and water from coal seam gas are being considered. Pastoralists are naturally worried as are environmentalists. The area can be subject to heavy rains which ends up with a toxic brew from open-cut mines being pumped into water courses. The basin drains towards Lake Eyre, (now officially known as Kati Thanda–Lake Eyre). Moreover the railway line or lines will cut across grazing lands on expansive flood plains, making water movement highly problematic with heavy rain. Mercifully both projects look wildly uneconomic. The Background Briefing story quotes a UBS commodities analyst who says that for the Galilee Basin to be profitable the coal price would have to be around AU$110 per tonne. Their long term estimate is $80 per tonne. The program saw India rather than China as being the most prospective customer. India is running out of coal that can be mined, but the current price there is about $23 per tonne (I presume US$). They need electricity for hundreds of millions who rely on wood or cow dung for cooking and heating, but not at any price. Following a similar announcement last week by Lend Lease, and earlier announcements by BHP Billiton annd Rio Tinto, mining company Anglo American has withdrawn its proposal to take part in the expansion of the Abbot Point coal terminal. That leaves only two proposals, both from Indian companies owned by billionaire entrepreneurs reminiscent of Bond, Skase and other Australian heroes of the 1980s. Both Adani and GVK are heavily indebted conglomerates of the type that invariably emerge when money is cheap, and mostly collapse when the tap is turned off. It’s not surprising that these companies have not yet abandoned their bids. Doing so would involve booking huge losses on their mining prospects in the Galilee Basin. But, it’s hard to believe anyone is going to lend them the billions required, not just for the port expansion, but for a 500km rail line and the mine itself. The price of coal is well below the level required to cover the costs of extraction and transport, let alone to provide a return on capital. And if Adani and GKV don’t build the rail lines, the development of the entire Basin will grind to a halt. Update: Mark Colvin discusses the economics of the mine with the ABC’s business editor Ian Verrender, confirming concerns. 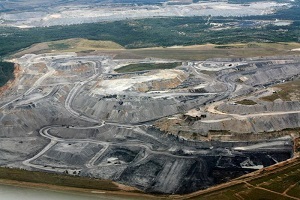 Galilee Basin coal: a vision splendid or a kind of madness? This map gives some idea of the geographic positioning of the vast Galilee Basin, one of the greatest untapped coal reserves in the world. This map locates it in relation to some well-known towns. Last year we were told that nine coal mines are proposed. The Alpha proposal and Kevin’s Corner (GVK and Hancock Coal) could each produce 30 million tonnes per annum for export, Palmer’s China First hopes for 40 million tonnes. The Carmichael deposit (Adani) at 10 billion tonnes is the world’s largest coal deposit. I think the plan there is for another 30 million tonne mine. 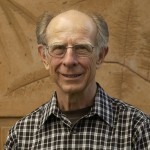 Greame Readfearn has calculated that the Alpha and Kevin’s corner projects alone will produce 3.7 billion tonnes of CO2-e when burned. He compares that to the UK which emitted 571.6 Mt of CO2-e last year. He also outlines some of the difficulties being encountered, including contestation in the land Court. Greenpeace calculated that if the Alpha coal project was a country, its annual emissions would be higher than the likes of Austria, Columbia and Qatar. These posts are intended to share information and ideas about climate change and hence act as an open thread. This post has emphasised adaptation and mitigation, essentially what we need to do to achieve a safe climate. Comments, about science, observations, impacts, and future predictions are welcome. I do not, however, want a rehash of whether human activity causes climate change. The sheer scale of mining company generosity illustrates why Tony Abbott remains committed to repealing the carbon pricing package and the mining tax. “Australians are a bunch of sheep about to hand themselves over to a pack of wolves”.